Bloody magazine! The ad agency Saatchi & Saatchi Switzerland partnered with the progressive men's magazine Vangardist to produce a cover whose ink is infused with HIV-positive blood. This, according to a story in FishbowlNY. issue to coincide with Life Ball, an annual AIDS charity event in Vienna. It also produced a Facebook page HIV Heroes, and together with the hashtag #HIVHeroes, is hoping to foster renewed online support and discussion. In a letter to the Canadian Stewardship Services Alliance (the national authority governing recycling), Magazines Canada describes as "egregious" the pricing and accounting practices currently being used in administering Blue Box programs in Ontario and elsewhere. Magazines are paying more than they otherwise should because single stream collection causes a comingling of printed paper and packaging resulting in a devaluation of paper fibres due to significant soiling and the broad mix of paper materials within post-processed bales. The system is not fair and equitable; for instance, newspapers are not paying significant cash into the system and have that arrangement enshrined in legislation, despite having very similar handling. The letter asked that the "cost transfer barrier" be removed, originally meant to redistribute costs from high-performing materials to low. This is now redundant given that materials are co-mingled. "To force any Steward to absorb any cost that is not of a Steward’s making is a failing of the legislative and regulatory environment within which the plan must operate." ...And for a review of cost measurement and cost allocation. Michael Fox has been named the recipient of the 2015 Foundation Award for Outstanding Achievement, the highest individual honour given by the Canadian magazine industry. The award will be presented June 5 at the 38th annual National Magazine Awards gala. Fox is well known to friends and colleagues as a guru of circulation, who started out in editorial at Maclean-Hunter but gradually moved into audience development and helped to steer the ever-changing landscape of Canadian consumer publishing over a four-decade career. He was -- and still is -- the go-to guy for information and understanding about Canada Post and its labyrinthine policies affecting magazines. He has been a generous mentor and volunteer and taken leadership roles in the Circulation Management Association of Canada, Alliance for Audited Media and the Direct Marketing Association of Canada. 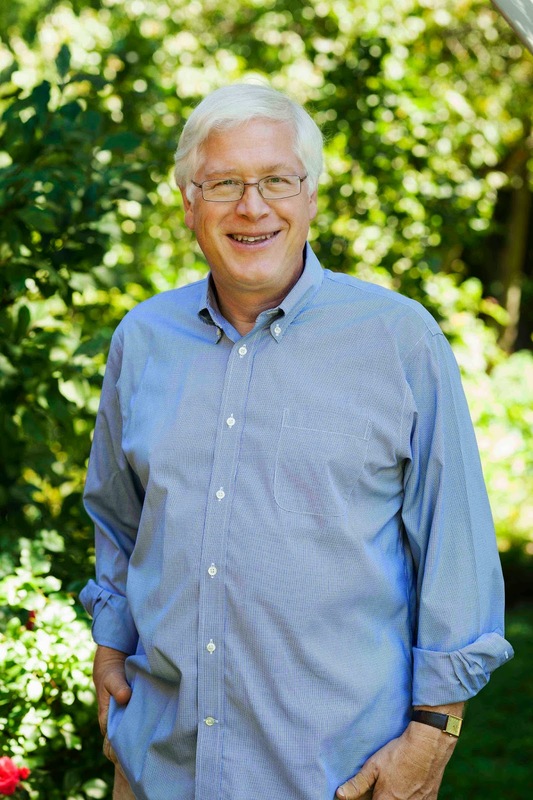 His passion for publishing was demonstrated before and after he retired from Rogers 2012 when he and his wife Beckie launched Inspriting Media Inc. and started Garden Making magazine from their home in Niagara-on-the-Lake. He is also chair of Magazines Canada 2013 - 2015. The annual proposal call has gone out from the Ontario Media Development Corporation (OMDC) for its Magazine Fund, which supports the business development of independent Ontario-based magazine publishers. The ultimate deadline for applications is June 24, but information sessions are scheduled May 13 (webinar) and May 1 and applicants are strongly encouraged to take advantage of the information sessions. All applications are submitted online. The Fund is intended to assist creation and implementation of new strategic business and marketing initiatives, and digital activities that enable magazine publishers to achieve business development and/or marketing objectives. Eligible projects should have clear, objective and measurable results. 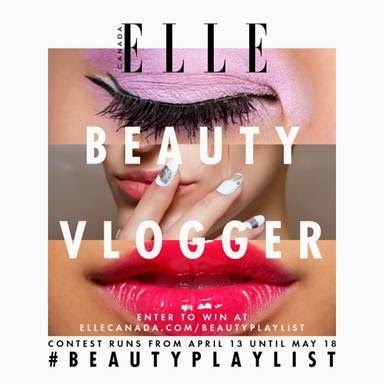 ELLE Canada magazine is looking for someone to become the magazine's first beauty vlogger. It is as much a promotional contest as a job posting, but the end result is that someone will get a paid, six-month contract to produce weekly 5-to-10 minutes how-to beauty videos. Every week what is called a "curated box" of beauty products will be supplied to her (or him) and suggestions will be made from ELLE Canada’s beauty director, Vanessa Craft. The resulting videos will be available on ELLE Canada's social media channels and on ElleCanada.com. Entries must be in by May 18, in the form of a three-minute beauty tutorial video posted to YouTube. Entry instructions are on ELLECanada.com/beautyplaylist . The first video will be posted on June 15, which gives the winner just two weeks from being selected to get it done. The finalists for the 61st Kenneth R. Wilson awards honouring business-to-business magazine publishing in Canada have been announced. CPA Magazine leads among multiple nominees, with 20, followed by University Affairs and Professionally Speaking/Pour parler profession, each with 10 nominations and Les Affaires with 8. Among the nominees who are first-time participants: Aboriginal Business Quarterly, Canadian HR Reporter, Corporate Risk Canada, Hardlines Home Improvement Quarterly, NaturalResources Magazine, Sketch, Skies and Vertical. The magazines in contention for the special award Best Issue of 2014 are Canadian Architect, CPA Magazine, Foodservice and Hospitality, Precedent, Pour parler profession and University Affairs. In the special category Best Cover, the seven finalists are Benefits Canada, Canadian Grocer, Canadian Lawyer, Education Forum, Foodservice and Hospitality, Professionally Speaking, and first-time participant Skies. Deanne Gage leads with 3 nominations for pieces published in CPA Magazine and FORUM Magazine. Yan Barcelo, Mary Baxter, Yves Bonneau, SteveBouchard, Paul Brent, Melissa Campeau, Peter Cater, Melissa Di Costanzo, Colin Ellis, Emmanuèle Garnier, Julia Kuzeljevich, Leah Lawrence, John Lorinc, Daniel Punch, Natalie Samson, Rosanna Tamburri, Robert Thompson and Lisa van de Geyn. Art directors Charles Desgroseillers, Barbara Woolley, as well as illustrator Jem Sullivan and photographer Markian Lozowchuk received 2 nominations each for their work in Les Affaires, USTC Commons, Hotelier, Foodservice and Hospitality, CPA Magazine and Professionally Speaking. In. Best Art Direction of a Complete Issue, nominees include art directors Glenn Taylor for Marketing, Gilbert Li for Precedent, Dominic Ayre for Sketch and Barbara Woolley for USTC Commons (with 2 nominations). The gala event at which the winners are named will be held on June 2, 2015 at One King Street West. Tickets are on sale now. The host for the evening will be John Milne, the president of Breakwell & Company and VP of Media Services at Equisoft. By this time each year, entries are usually being submitted to the Western Magazine Awards, but the event seems to be suspended. The executive director, Kate Cockerill, quietly resigned effective March after barely a year in the job. Its website is closed down. When I enquired, acting president Jennifer Giesbrecht said simply: "Please look for an announcement about this year’s awards in the coming weeks." Cockerill's resignation followed word from Canadian Heritage that it would no longer be funding "celebrations" of magazines and without that funding, it was apparently not possible to carry on. As far as we can determine, no public announcement has yet been made by the awards foundation. Last year the WMAs had trouble getting airborne. The event extended its entry deadlines twice in the spring, citing "technical difficulties", although the awards event did take place in September in Vancouver. The annual awards were established in 1983 to honour and celebrate editorial excellence in magazine writing, photography, illustration and art direction in the four western provinces. This is accomplished through the annual awards competition, a gala event where winners are announced and recognized with cash prizes, and The Magazine School, an educational program featuring WMA-winning work. With the loss of federal funding, the foundation board running the event would have been faced with at least a $25,000 deficit. Buzzfeed has hired author and indefatigable error-checker Craig Silverman to head up its new Canadian operation, Buzz Feed Canada. As a result, Silverman and his family are moving to Toronto from Montreal. He told the Globe and Mail he will be heading up a small team of reporters based in Toronto and Ottawa and expanding BuzzFeed's Canadian editorial content. Silverman added that BuzzFeed’s Canadian coverage would evolve in a natural trial-and-error process rooted in data analytics. “We’re going to start publishing things and we’re going to look very closely about how it performs,” he said. Silverman is the author of Regret the Error and a blog of the same name which has been published by Poynter.org since December 2011, when he joined as adjunct faculty. Both catalogue mistakes made by publications and websites. He has been a columnist for the Toronto Star, Columbia Journalism Review, The Globe And Mail and BusinessJournalism.org. He’s the former managing editor of PBS MediaShift, and was part of the team that launched OpenFile.ca, a Canadian online news start-up. His journalism and books have been recognized by the Mirror Awards, National Press Club, Canadian National Magazine Awards, and the Canadian Online Publishing Awards. A new editor-in-chief will be taking over The Kit in August as it moves into its fifth year. The multi-platform publication that is part of the Star Media Group (Toronto Star). Laura deCarufel most recently she held the position of executive editor at Elle Canada, a magazine and website integrated role, where she managed the style section. She has also worked at Fashion magazine, The Look and Elm Street, and launched Hardly Magazine, an indie online arts and style magazine for digitally engaged teenage girls. She will be stepping into the position previously held by Christine Loureiro, who is now entertainment editor of The Star. "We are excited to announce that Laura has agreed to join us as editor-in-chief of The Kit," said Giorgina Bigioni, publisher. "She has a stellar reputation and the perfect mix of experience to lead us into the next stage of our successful life as a multi-platform digital and print beauty and fashion media brand." The Kit began in 2010 as an independent online beauty magazine and, after being acquired in 2011 by the Star, expanded its website into fashion and now produces a weekly tabloid print insert about beauty and fashion for distribution in the Toronto Star, Ottawa Citizen, Montreal Gazette, Calgary Herald, Edmonton Journal, and Vancouver Sun.. It also publishes French- and Chinese-language paper editions and plans to launch a pop-up magazine in the fall of 2015 that is geared to millennial audiences. The Ryerson Review of Journalism, which just published its annual issue and which is highly valued by journalism students and people in the industry, is considering a fundraising campaign over the next 18 months to replace advertising support that has all-but dried up, according to a post on J-source. The publication went from two issues a year to one in 2013 but there remains the magazine's production and print costs of $10,000 to $13,000. Ad and sponsorship sales have declined sharply over the past 8 years. Ryerson professor and graduate program director Bill Reynolds will head up the fundraising campaign that will, in part, determine what the RRJ’s future will look like in two years. “The print version is guaranteed for Spring 2016, but it’s not guaranteed for Spring 2017,” [he] said....Reynolds said the effort is largely to avoid a scenario beyond 2017 where the publication goes online-only, or print-on-demand, which would cut the RRJ’s circulation and newsstand functions out of its production. [This post has been updated] Toronto Life will publish its May issue as planned this week after an attempt by a feature subject to get an emergency injunction was turned down by the Ontario Superior Court on Monday. The magazine will be available to subscribers today and to single copy buyers Thursday. The story will be published in full online later this week. According to a release from St. Joseph Communications media group, the profile of Michael J. Elder, chair of the WorkOnce Wireless Corporation by Michael Posner, is entitled “The Charming Mr. Elder”. It recounts how Elder raised millions from prominent Toronto investors for the development of a tablet device called the Quillmate and is now the subject of a group action from investors seeking $12 million in damages, as well as Elder’s removal from the company as sole director. "I'm satisfied with the outcome of yesterday's proceeding," said Ken Hunt, publisher of Toronto Life. "I'm pleased that the hard work of our editors, writers and designers will reach our readers as usual." "I do not believe that freedom of expression should protect shoddy journalism designed to ruin my life, There are numerous people they could have approached to correct their falsehoods but they deliberately chose not to do so." He said in court documents that the profile raises questions about who owns the patents for the project that he says is worth as much as $130 million. He says the profile suggests that he may have tried to raise money for a project that wasn't his. "The above statements are totally false.," according to the notice, which seeks $100 million in damages. "The words used are meant by the defendants to convey the implication that the plaintiff is a fraudster." Toronto Life editor Sarah Fulford said in response that the facts in the story were "materially true", responsibly reported and fair comment on a matter of public interest. Elder, she said, failed to respond properly to repeated inquiries Posner had made of him until almost 93,000 copies of the magazine had been printed and distributed. In arguing against the injunction, Toronto Life said it stood to lose $475,000 on the May edition if unable to publish — and potentially millions in the longer term if the brand were damaged. Elder has a "history of defaulting on his financial obligations" and can't be relied on to compensate the magazine for its losses if it proves successful in defending itself against him. Maisonneuve magazine is launching a lecture series called Letters from Montreal, on Wednesday May 13 at 8 p.m. It's being presented in collaboration with Café L'Artère, coopérative de solidarité, 7000 Avenue du Parc. Fariha Roisin, a freelancer writer & the co-host of the podcast Two Brown Girls. Her lecture will be about "Doing the Right Thing: what's feminism got to do with it"
Rollie Pemberton, a DJ, rapper, poet & person. His lecture will be about "Playing the game the right way"
Meags Fitzgerald, a graphic novelist, illustrator, improviser and vintage photo booth expert. Her lecture will be about the tension between "Correctness and stubborness", specifically as it relates the clash between innovative design and nostalgia-rooted design. Jacob Wren, a writer, novelist, performer and expert at sharing literary quotes on social media. His lecture will be about "Stumbling towards art and politics"
After 25 years as one of Canada's most successful literary and cultural magazines, the reins of Geist have been taken over by a younger generation; the change was announced in a typically idiosyncratic Geistian way as "a bloodless coup" that displaced founders Stephen Osborne and Mary Schendlinger. Apparently Michal Koslowski becomes editor-in-chief, and AnnMarie McKinnon associate publisher of the Vancouver-based magazine. A bloodless coup to usurp Geist’s founders, Stephen Osborne and Mary Schendlinger, was carried out by members of the magazine’s long-standing staff this April. Resistance leader Michał Kozłowski, a writer originally hired by Geist in 2006 to change lightbulbs and stuff envelopes, succeeds Stephen Osborne in the roles of publisher and editor-in-chief. Osborne and Schendlinger, unfazed by the coup, were keen to recognize the new regime. “We’ve been waiting for this for a long time,” remarked Osborne. “Oh, I thought they had already taken over,” Schendlinger added. After 25 years at the top of the Geist masthead, Osborne and Schendlinger have been relegated to Brain Trust and will provide publishing expertise and editorial support to the new regime. Geist began publishing in 1990 as a newsprint magazine in the founders’ living room. In the quarter-century since, Geist has published more than 1500 Canadian writers and artists, has won some two dozen awards, including (three times) Magazine of the Year for Western Canada, has published writers who have gone on to win the Writers’ Trust and Giller awards, and has grown into the largest-circulation literary periodical in Canada’s history. Kozłowski and his co-conspirators thank Osborne and Schendlinger for their capitulation and vow to carry on the Geist mission to combat miserablism, eradicate boredom and brutally repress mediocrity. Before changing lightbulbs for Geist, Kozłowski painted fire hydrants for the city of Winnipeg. His co-conspirators include AnnMarie MacKinnon, associate publisher, a seasoned editor and formerly a private waitress to Alexander Graham Bell’s granddaughter in Cape Breton; Dylan Gyles, reader services, a former pin monkey at a Winnipeg bowling alley; and Roni Simunovic, digital publishing coordinator, who worked at the largest Tim Horton’s in Kamloops for about 11 months. The usurpers’ first issue is Geist 96, out on newsstands this week. Katie Wyatt - Niagara College - "Karsh emulation of George Bernard Shaw." Nicole Wiart - Grant MacEwan University- "Not like chicken or fish; something new - Meet the people behind Canada’s death revolution." Julian Uzielli - Western University - "Knights in homemade armour." Maria Ramage and GenY Chances - Sheridan College - "What are the chances." Matthew Rovet - University of Guelph-Humber - "Internment." The winners were selected by a jury of independent professionals drawn from the media industries. [Disclosure: I was a judge for the writing category.] This is the first year for multiple media categories. The event started five years ago as a recognition of work in Emerge magazine, which is still published as a part of the awards program. The awards gala is followed by a whole day conference. "Guest editor" is very generous. 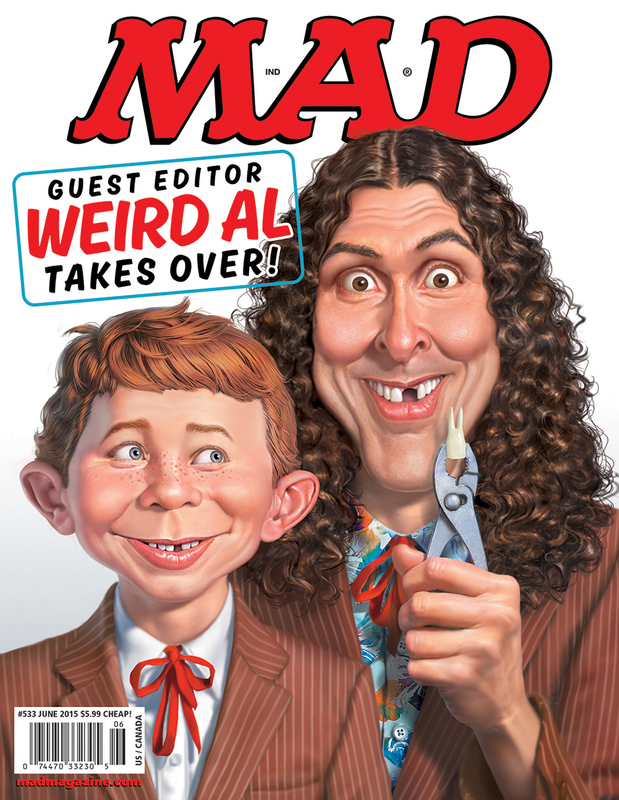 I was very involved in the issue, and it's certainly a Weird Al-themed issue, but John and the editorial staff did most of the heavy lifting. "Having said that, I did contribute a few pieces. I was involved in the decision on the cover. I answered all the letters." St. Joseph Communications is launching a twice-annual custom publication in September with Birks Group Inc. called 1879 by Birks. That was the first year that Henry Birks opened a jewellery shop in Montreal. The new luxury publication will have a circulation of 150,000, of which 100,000 will be in Canada and 50,000 in the U.S. Copies will be distributed in 48 Birks and Mayors stores, mailed to best customers, distributed at cultural events (e.g. TIFF), inserted in selected copies of the Globe and Mail and distributed in hotels and private jet terminals in Florida. The content of the magazine will include information about Birks corporate social responsibility program, features about jewellery artisans, photo shoots of jewellery. design, travel and food stories and advertising from high end jewellery and timepiece brands carried by Birks as well as other external advertisers. St. Joseph is responsible for all content and design as well as advertising sales and printing. The project team includes Maryam Sanati, editorial director special projects for Toronto Life, Nevien Azzam, director of integrated solutions for St. Joseph Media and Tralee Pearce, a former reporter and editor with the Globe and Mail. During his tenure, Pelley repositioned the media business to address the changing media landscape. He reorganized the media division, breaking down silos to function in an integrated manner across the diverse portfolio of assets; he led the push to digital across the publishing brands; launched shomi and Next Issue in Canada; launched Sportsnet magazine to make Sportsnet the only five-platform sports media brand in the country; and expanded the reach of the company's TV assets to deliver world-class content to more Canadians. He joined the company in August 2010. "Keith has done a tremendous job for the company over the past five years and I'm delighted for him and his family. He's been a key player on the NHL file and has done a terrific job of reinventing the way Canadians experience the NHL. Under his leadership, Sportsnet is on the cusp of becoming the number one sports media brand in Canada." "In order to boost and sustain a vibrant, supportive organization within the business-to-business publishing industry, CBM is launching an array of initiatives concerning marketing, promotion, communication, education, networking and recognition. "This will be achieved through a variety of first-rate training sessions, networking events, Q&A forums, interviews, webinars and tutorials, including some member-only activities and resources. CBM will also continue to produce the Kenneth R. Wilson Awards, a recognition program celebrating outstanding achievements in business-to-business magazine content." In addition, the organization will be launching a B2Blog for B2B Publishers. The board of directors of the resurgent organization is headed by John Kerr, CEO of Kerwill Publications Limited, Treasurer James O. Hall, President & COO, Keith Communications, Inc., and directors Alex Papanou, President, Annex Newcom LP, Michael Swan, President of Swan Erickson Publishing Inc., and Kevin Brown, President of MediaEdge Communications. Trevor Cole won the award for long-form feature in the Canadian Best in Business awards for his article "CEO of the Year" in Report on Business magazine. This was the first-ever awards and attracted more than 100 business journalists to a Toronto reception hosted by The Society of American Business Editors and Writers (SABEW) Canada. There were nine winners from a pool of 26 finalists; The Globe and Mail newspaper won five. A group of Canadian journalists launched SABEW Canada, SABEW’s first international chapter last year, supported by about 200 members including reporters and editors from such publications as The Globe and Mail, National Post, Canadian Business, Maclean’s, MoneySense, Bloomberg and the Wall Street Journal. The chapter's mission is to define and inspire excellence in business journalism. The American Society of Magazine Editors has released its latest set of guidelines for editors and publishers concerning ads and editorial and they are a marked departure from previous versions. For instance, it now no longer says ads should not be sold on covers; and it no longer specifically states that editors shouldn't write ads or collaborate with advertisers. The slow evolution (erosion or watering down some would say) of these guidelines is apparently being forced on the society by changing economic circumstances of the magazine industry, reeling from loss of ad and circulation revenue to digital media. ASME apparently decided that rather than continue to publish an ever-lengthening list of prescriptions, CEO Sid Holt said in an Ad Age interview, the intention was to make them apply more widely across many platforms (print, web, mobile, apps, social media and even events) and to boil them down to one prescription: "Don't deceive the reader." "The old guidelines were like a map," explained James Bennet, president and editor-in-chief of The Atlantic as well as an ASME VP who helped draft the revised protocol.. "We want to provide a compass that will help editors orient ourselves as the landscape continues to shift, regardless of whether we're operating in video, events or social.The goal was to focus on the principles rather than a set of specific, very prescriptive rules." ASME first published ad:edit guidelines in 1982 and has periodically updated them since. A committee of eight print and digital editors wrote the new guidelines, which were unanimously approved by the ASME board. "They are still the same principles from 1982, but with the media changing, these are the opportunities to say these are our core principles as magazine journalists and they have support of publishers and media buyers," Holt said. Same date, different place, on its own; it has been announced that the National Magazine Awards will be held at the Arcadian Court in Toronto on June 5. Long a fixture at the Carlu and as the capstone for Magazines Week (though separate from the four-day MagNet industry conference), the consumer magazine awards will still happen as usual at the end of the first week of June. However there will not necessarily be such a large gaggle of MagNet attendees to boost its numbers this time around, topping off the conference week. The multi-day MagNet conference has been suspended for this year while Magazines Canada prepares to host the international FIPP conference in October. Originally opened in 1929 as the main dining room of the old Simpson's department store on Queen between Yonge and Bay Streets and now atop its successor, the flagship of the Hudson's Bay Company, the Arcadian Court is managed by Oliver & Bonacini Events & Catering, which will cater this year’s gala. Tickets for the 38th annual National Magazine Awards go on sale on May 4, the date on which the NMAF will announce the nominees for awards in 43 categories recognizing the best in Canadian magazine publishing, writing, photography, illustration and design from 2014. 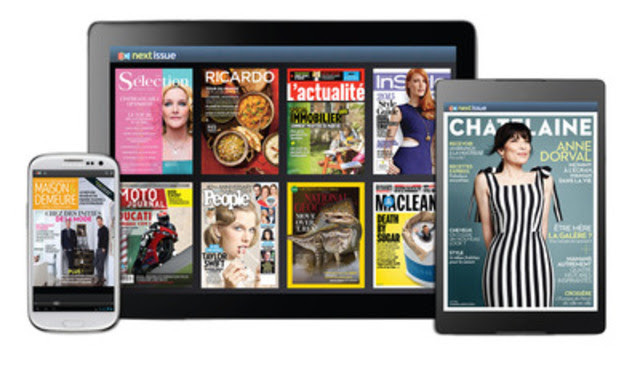 For the first time, starting April 20, Rogers is launching a French version of Next Issue Canada, the digital magazine newsstand. It will feature an all-French interface with more than 20 Quebec-based French magazines and access to more than 100 English titles (the French titles will continue to be available in Next Issue in English). The French magazine titles are 5-15, Allô Vedettes, Châtelaine, Custom Tour,Déco Réno $, Enfants Québec, Full Fille, Gabrielle, Géo Plein air, JE cuisine, JE décore, L'actualité, LOULOU, Maison & Demeure, Moto Journal, Protégez-vous, Quadnet/le monde du VTT, Québec Science, Sélection du Reader's Digest, Ricardo, Riches et célèbres, and Vélo Mag. "With Next Issue now available in both French and English, we're committed to reaching more content lovers across the country and continuing our investment in the digital future of the magazine industry." The Next Issue app will now be downloaded in preferred language device setting, and for popular mobile products including Android™ tablets and smartphones, and iPad®, iPod® Touch, iPhone and Windows 8 devices (English service only for Windows 8). As with the English service, one account is shareable across five devices and the service is available at $9.99 per month for all monthly and bi-weekly magazines and $14.99, subscribers including access to all weekly publications with back issues included. Next Issue Media is a joint venture of six leading U.S. magazine publishers - Condé Nast, Hearst, Meredith, News Corp., Rogers Communications, and Time Inc. Next Issue Canada. launched in 2013, is a joint venture with Rogers and Next Issue Media. Seneca's students work in traditional forms such as drawing, painting, mixed media, printmaking and sculpture as well as digital media and learn the business skills to apply their art in the work world. The School of Creative Arts and Animation, part of the Faculty of Communication, Arts and Design, is located at the Seneca@York campus on York University. The exhibition is an opportunity to see some work by people who will be contributing to Canada's magazine excellence in the years to come. It takes place April 23 to 27 at Artscape Youngplace, 180 Shaw St, Toronto. The opening reception is April 23rd starting at 7:00 p.m. Gallery hours over that weekend are 9 a.m. to 5 p.m. daily. TVA Group will keep a 51% stake in Les Publications Transcontinental-Hearst inc. which operates Elle Canada and Elle Quebec, in partnership with the Hearst Group which holds a 49% stake. TVA Group and Groupe Bayard together hold 50% of the shares of Publications Senior Inc., that publishes Le Bel Age and Good Times magazines. Custom publishing from the magazines are included in the deal. Kayak, the history magazine for kids, is looking for illustrated stories about Canadian history (500-1,200 words; 1 - 3 illustrations or archival photographs) for the 2015 Governor General's History Awards. The competition, in both official languages, is open to kids between 7 and 14 and the deadline is May 1. The stories will be evaluated by a panel of judges on the basis of creativity and originality, content and story composition, grammar, spelling and quality of writing and use of illustrations to support the story. The top two writers, one French and one English, will receive a $1,000 RESP and a trip to Ottawa. The top twenty-five stories will be published on the magazine's website and awarded a complimentary subscription to Kayak: Canada's History Magazine for Kids. All participants will receive a special certificate commending them on their participation. This event will take place immediately after the 40th FIPP World Congress in Toronto (October 13–15), so sharing lessons and experiences from the Congress and discussing how to take advantage of international opportunities will be a significant component. World Congress attendance is not required to attend the Cultural Magazines Summit, but the Summit will be designed to enhance the Congress experience for those who do go to both. With MagNet week cancelled for 2015 [to return, June 2016], the October Cultural Magazines Summit is your opportunity to meet with your peers in a comfortable setting that is all about YOU, YOUR magazines and YOUR challenges. There will be no better place this year to network with cultural magazine colleagues from across Canada. Mag world view: Bauer goes Christian; Economist goes Chinese; Improved Fortunes for GigaOm survivors; [US] postal rates up? down? One of the worst-kept secrets in the magazine industry has been that Mark Jamison, the CEO of Magazines Canada, is retiring leaving the organization at the end of 2015. The organization has now made this official with a posting about the process it is undertaking to replace the 16-year veteran. "This is very much Mark’s decision, and as you would expect, he has provided ample advance notice to allow for a smooth transition," says Michael Fox, Chair of Magazines Canada's Board of Directors. "All of the Board members join me in acknowledging the tremendous leadership that Mark has provided, and in appreciating his practical approach to planning the future of the association as well as evolving his career." The Magazines Canada Board of Directors formed a CEO search committee at its March 27 meeting, responding to the planned departure of Jamison on December 31, 2015. "In the future, Mark plans to take on consulting projects in not-for-profit management," Fox says. "Mark has helped Magazines Canada stay current and focused on the future during a period of tremendous changes in magazines, our audiences, media technology and of course public policy priorities of the federal and provincial governments. He and the staff have made Magazines Canada a virtual big tent that provides a place to gather, to learn and to develop for people involved with all types of magazines. He has helped evolve the Magazines Canada organization to serve its members efficiently, effectively and enthusiastically. We wish him all the best in his new venture." Display writing is a pleasurable and demanding trade, more particularly because what works in print doesn't necessarily work online or on social media. The Canadian Society of Magazine Editors (CSME) is holding one of its periodical events on Thursday, April 16 exploring how to manage multi-platform display copy. Patrick Walsh, editor-in-chief of Outdoor Canada, who will share his tips for writing award-winning display. David Topping, the executive online editor of TorontoLife.com, who will explain how to use social media to drive traffic to your site. Simone Castello, the life and relationships web editor at CanadianLiving.com, who will discuss best practices for print-to-web display writing and online tools you can use to optimize content based on keywords and trends. It's from 5:30 to 8:00 p.m. in the Stealth Lounge (second floor) of the Pilot, 22 Cumberland Street (near Yonge and Bloor). $15 for members, $20 for non-members (or $20 and $25 at the door) Buy tickets or RSVP to csmeadmin at canadianeditors dot com. 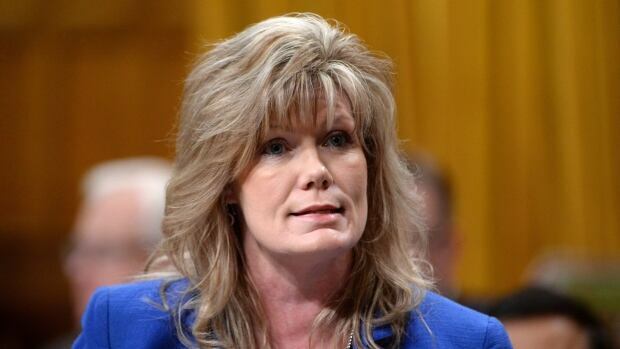 Shelly Glover, the Minister of Canadian Heritage, has announced that she will not run again, though she will serve until the expected October election. As Heritage Minister, Glover is responsible for -- among many other things -- the CBC, national museums and the Canada Periodical Fund. Glover -- Manitoba's most senior cabinet minister -- said "it is time to return to my previous life", by which she apparently means as a member of the Winnipeg Police Service, from which she is on a leave of absence as a sergeant. "This past 18 months has been particularly difficult for me and my family as we have dealt with some very serious health issues while I was away from home. As their wife, mother and grandmother [with a second grandchild on the way], my family is very grateful that I am coming home." She has been in the post as minister of heritage and official languages since July 2013, the latest in a string of heritage ministers; there have been four Conservative ministers since February 2006, including Bev Oda, Josée Verner and James Moore. Glover was first elected in 2008 to represent Saint Boniface riding in Winnipeg. At the same time as Glover made her announcement, International Development Minister Christian Paradis also announced he won't run again. Next Issue Media, the so-called "Netflix for magazines", is apparently no flash in the pan; it is marking four years since the all-you-can-read "digital newsstand" or subscription service was launched. It was created as something of a matter of self-preservation by the big U.S. magazine publishers (Conde Nast, Hearst, Meredith, Time Inc.) and soon thereafter Rogers Media spent $5 million launching Next Issue Canada in Canada, which included 100 U.S. and a dozen Rogers titles. A year ago, it was reported that the Canadian service had 45,000 paying customers and 20,000 people trying a free preview. It was reported elsewhere that the U.S. version had about 150,000 paying subscribers, though it had yet to achieve profitability. The service started with 32 titles and one device (iPad) and now offers more than 145 titles on 6 devices, including various iPhone and Android smartphones and tablets as well as desktops.